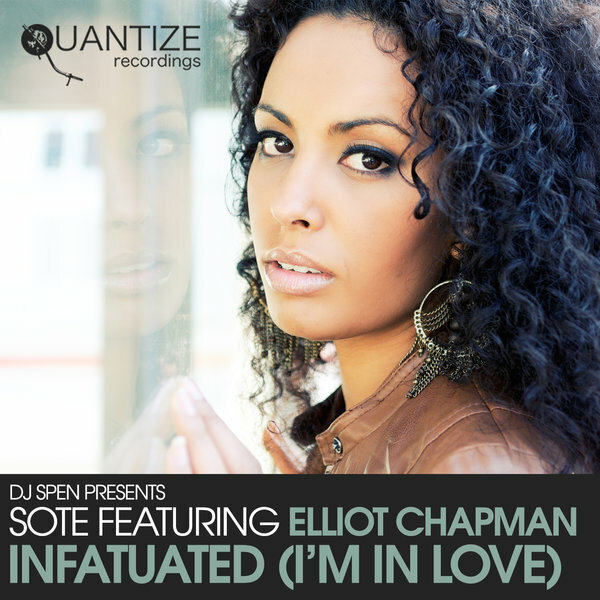 SOTE Ft. Elliot Chapman ?Infatuated (I'm in Love)"
Quantize Recordings is thrilled to release an amazing production by Sote featuring the vocal talents of Elliott Chapman. ?Infatiated (I?m In Love)? will make you raise your hands, dance and sing along! For those who like it soulful, get ready to be introduced to a well written love song that will send chills throughout your body! Elliott Chapman delivers a vocal performance that is beautifully captivating over an awesome production by Stuart Braybrooke and James Padovani. This release contains 3 mixes to choose from. David VIbes' Tobon and Mike "M-Dubb" Wright deliver a remix that is sure to be a modern day classic! Conan Liquid?s In The Fade Mix grinds creatively with the execution and drive that only he can deliver. Finally, the Sote Original Mix is made for peak hour dance floor play while maintaining a soulful vibe that?s irresistible. Together these mixes make an amazing package that will be hot on dance floors all summer long!! !